The Sword Art Online segment of the Tokyo Game Show 2018 has brought its share of the announcement. Especially for the owners of Switch, who will be able to get the saga through two portages. The first concerns Sword Art Online: Hollow Realization that will be launched in a Deluxe edition. The second concerns Sword Art Online: Fatal Bullet that will land in a complete edition including the four extensions of the game. For now, the Nintendo Switch has not yet hosted games Sword Art Online. 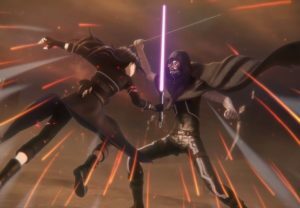 The latest installment, Sword Art Online: Fatal Bullet only released on PC, PS4 and Xbox One. The game’s producer, Keishi Minami, and the licensee, Yosuke Futami, were on site. The opportunity to evoke the latest of console Nintendo. This is not a light announcement because the first time a game stamped Sword Art Online arrives on a Nintendo console. The Nintendo Switch definitely attracts the beautiful world. Named Fatal Bullet Complete Edition and Hollow Realization, these two titles are portages and contains all the DLCs. 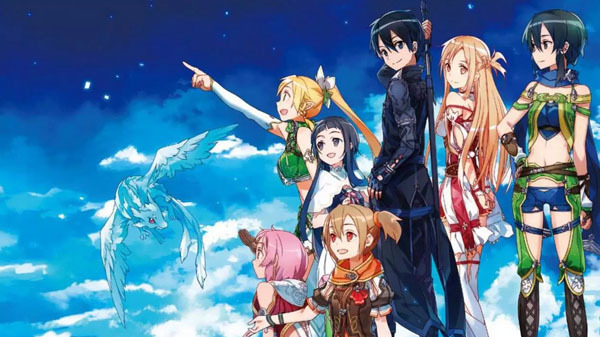 Moreover, the publisher explaining that a Switch version of Sword Art Online games is possible. There is no release date announced for this moment. However, these two games have already been edited down on consoles such as PS Vita, the PlayStation 4 and the Xbox One.